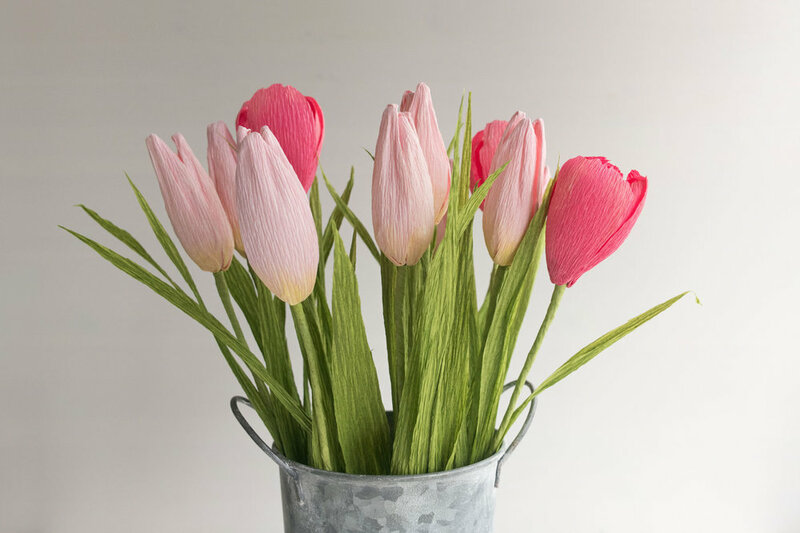 Spring Fresh Tulips & Roses Wedding Bouquet Recreation — Paper Rose Co. 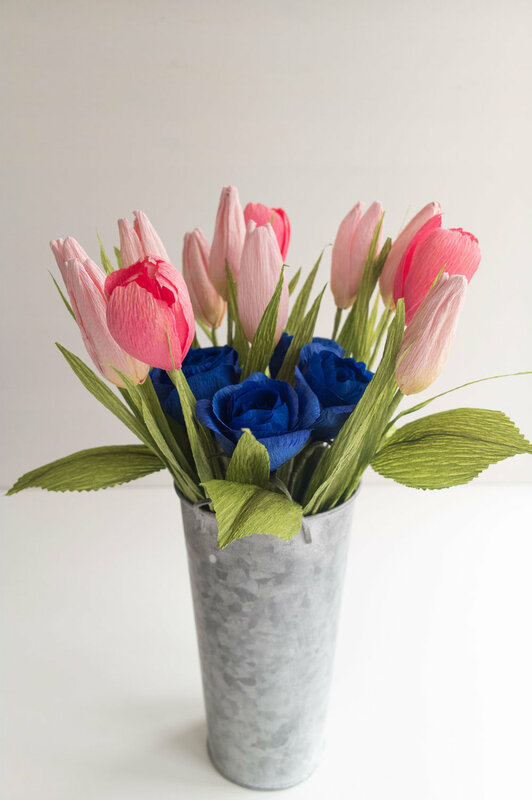 This piece, composed of two types of pink tulips and bright-blue dyed roses, looked wonderfully fresh and hand-picked gathered together in a flower bucket. Once tied in natural ribbon, they were a lovely match to their wedding day inspiration.